Let the sun beam down on your wedding ceremony as you celebrate your love on the beach of Uvero Alto. 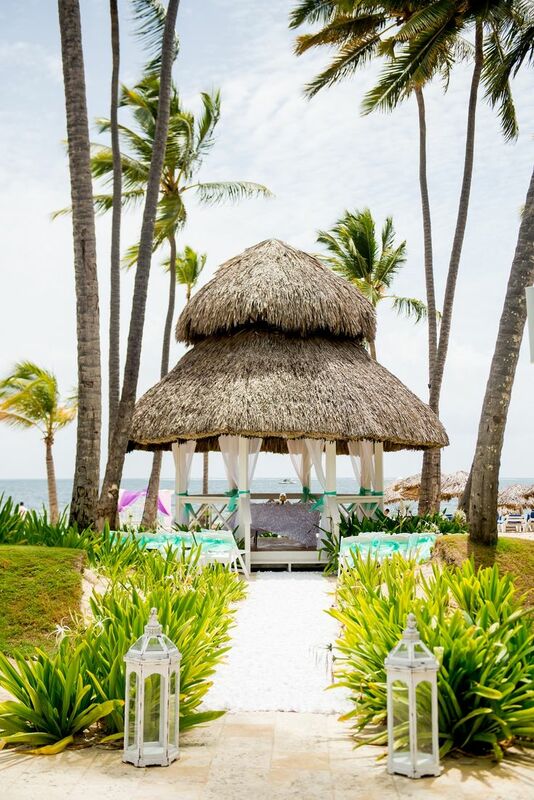 This tropical paradise will satisfy your every need and desire amongst the natural beauty of the land, from exquisite beachfront lounging chairs to endless activities to choose from like exploring the coral reefs or jumping on the ocean trampoline. 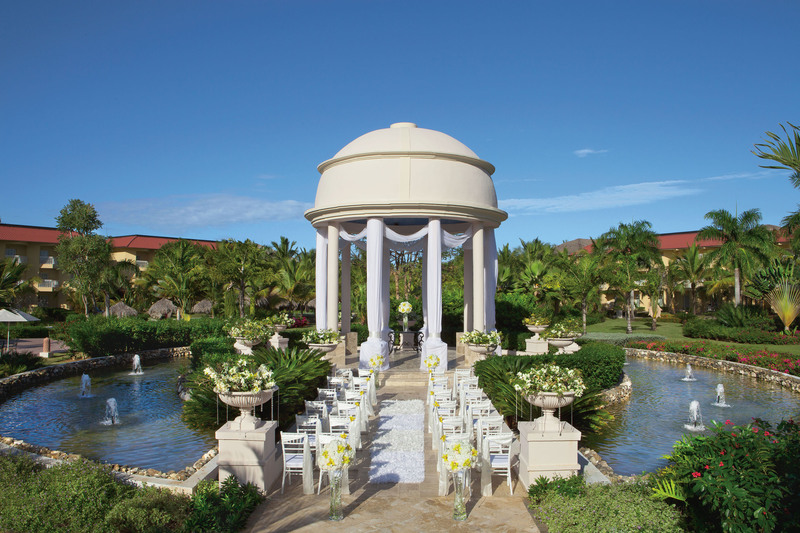 A Dreams Punta Cana wedding will make your special day a truly memorable experience for you and your guests. The resort’s centerpiece is a large free-form swimming pool that starts at the lobby and makes its way down to the beach, with swim-up bars and other attractions throughout. Snuggle up under the stars and enjoy watching a movie on the beach with your wedding guests. Wildlife roams the property, like peacocks and lizards. The Teen’s Club includes an adventure simulator with thrilling options, available to all ages. As one of Dreams and AM Resort’s preferred partners, our agents can get special inclusions for couples that include romantic dinners, spa treatments and more! Contact an agent to learn more. Rooms range from $150 – $235 per person per night. Every room includes wifi and a mini-bar. Guests looking for ultimate luxury will enjoy the Preferred Club Junior Suite or Preferred Club Honeymoon Suite which both include a private jacuzzi on the terrace. Children ages 2 and younger stay free, and kids 12 and younger can stay free during certain times of the year. 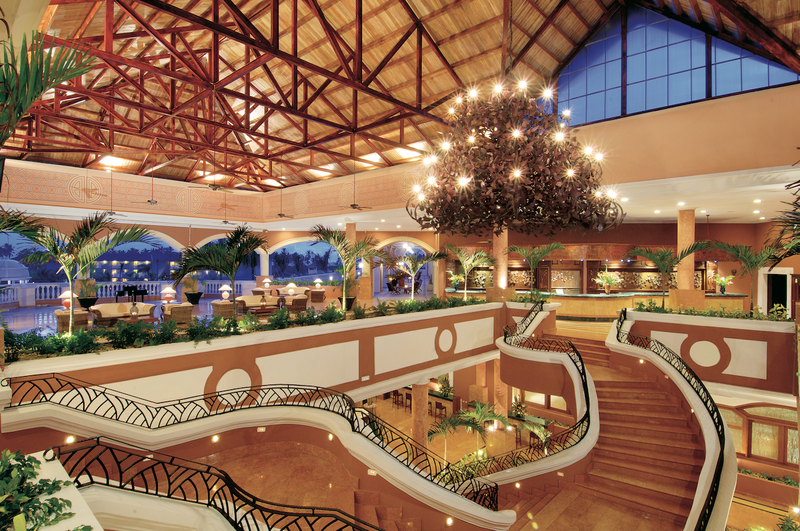 There are 620 total guest rooms with tropical views or views of the pool. The guest rooms are connected between 9 buildings and stand 3 stories high. The Deluxe Family rooms are are two connecting rooms. The Deluxe Swim-Out room includes direct access to the pool. Building 5 includes handicap accessible guest rooms. All rooms allow up to 2 adults and 2 children max or 3 adults. The family rooms will allow up to 6 guests total with 3 adults and 3 children or 4 adults max. The Deluxe Swim-Out and Preferred Club Honeymoon Suites are the only adults-only rooms with 2 adults max. Children are ages 12 and younger. The resort will host no more than 3 weddings per day Monday thru Saturday. Ceremonies will be held anywhere from 4pm to 6pm, but no weddings will be held at the same time or location. 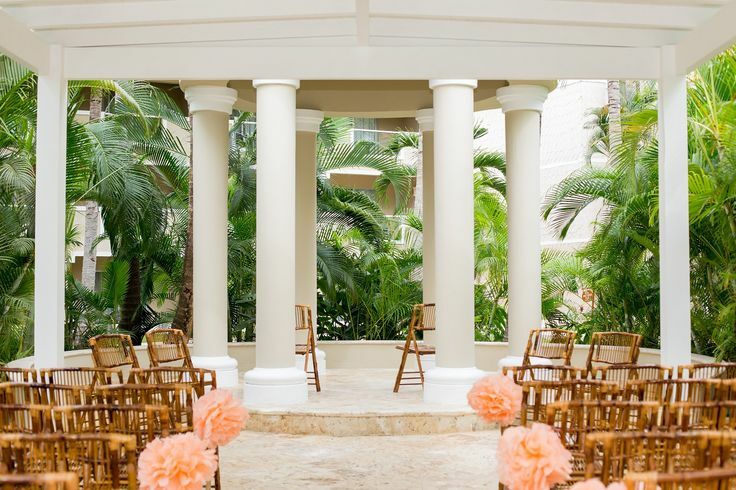 Catholic ceremonies are permitted in the ballroom or gazebo, an additional charge is required. 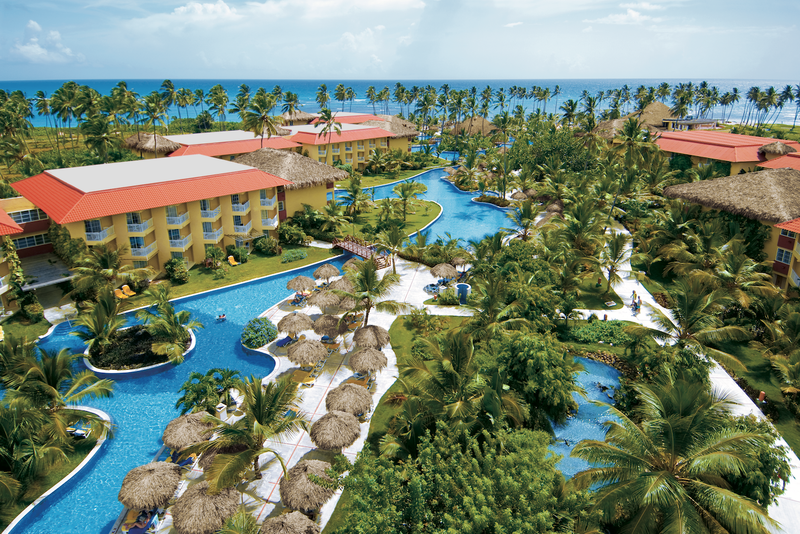 Dreams Punta Cana is located 25 miles from the PUJ airport. A: Personally my favorite part is that you spend months speaking with someone behind the computer and when you finally meet them in person they trust us like we know each other from the whole life, is that feeling that you can help someone you don’t know to have one of the best day of their life! A: They evaluate us a very professional, normally they say “ Wedding coordinators at Dreams know what they are doing” they also mention that we are very sweet and easy to work with, very attentive and dedicated.